In Hackbright Academy’s immersive and rigorous 12-week full-time Software Engineering Program, students not only learn the skills to become engineers, but build impressive web apps in just four weeks. We’re so proud to share the projects from our inaugural South Bay Software Engineering Program graduates! Learn more about these amazing women and their apps that showcase their unique interests and personalities. Catalina was first introduced to the world of programming during her undergraduate studies at Santa Clara University. After taking introductory courses in C and data structures, she became interested in the software’s ability to resolve problems in dynamic ways. Catalina decided to pursue software engineering. In February 2018, Catalina was admitted to Hackbright Academy and put her education at SCU on hold to pursue her newfound passion for software development. Catalina is hoping to continue using her problem solving mindset along with her new coding skills in a role as a full stack developer with an emphasis in backend engineering and databases. Bay Area Farmers’ Markets allows users to view local market information via a PostgreSQL database of local markets and vendors. The homepage welcomes users with a view of a daily markets list and map. Users can also search the database via form for vendors, commodities, and markets, and may even filter results by day of the week! Users may also view pages containing all markets, all vendors, and corresponding individual profiles. The app also gives users the option to create an account and login. Once logged in, users may favorite vendors and markets for future reference. All relevant pages contain Google Maps displaying location information pertaining to the page and are centered on the users’ geolocation for readability. Catalina has prior education in C programming from Santa Clara University. Before enrolling in programming courses, Catalina had been a declared Electrical Engineering major. 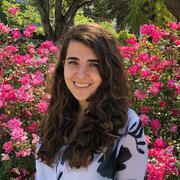 Through exposure to programming in multi-discipline courses and self-study, Catalina decided to enroll in the entry level programming courses offered by the university including Programming in C, Abstract Data Types & Structures, and Applied Programming in Matlab. Before Hackbright, Cierra was a data analyst and marketing specialist, delivering data insights for Microsoft at WE Communications. Her experience working with data, databases, and statistics led her to pursue programming full-time. Additionally, Cierra comes from a design background and has several years of experience assisting photographers, organizing photo shoots, and creating digital media. She would like to combine her experience with data manipulation and passion for design to work in UI, data visualization, or front-end web development. Newsflash displays top trending news coverage and information about media outlets through an interactive D3.js visual. Unlike traditional newsfeeds, Newsflash provides a snapshot of what coverage is trending right now, and it organizes trending stories by the popularity and bias of the respective media outlet. Additionally, users can search for trending coverage around a certain topic, and save these search terms. All news coverage comes from NewsAPI. Cierra is familiar with SQL from her experience as a data analyst. She also attended App Academy’s Jumpstart program for four weeks, studying Ruby. She completed Khan Academy’s intro SQL course and taught herself HTML and CSS. At Lewis & Clark College, she took logic and statistics, where she used R. Additionally, she uploaded content and helped design a database of publicity photos for Lewis & Clarks’ Office of Public Affairs and Communications. 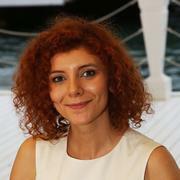 Before Hackbright, Duygu studied design at the University of Arts London and economics at Istanbul University. Prior to that she worked as an Operations and Chartering Deputy Manager in tanker shipping business, focusing on voyage calculations, operations, and chartering negotiations. After working for several years, she realized that the most interesting and challenging parts of her job were problem-solving and database building. After moving to the South Bay, she was quickly inspired by the potential of programming and began to take online programming courses. She decided to take her passion one step further by attending Hackbright. After graduating, she is excited to combine her design and creativity skills with her engineering skills. GoVisEat is a web app where users can search where to eat in a specific city for a time period. In the app, users can save these recommended places and even search for other users to see their saved trips. Once a user registers and logs in, they are directed to their personal page, where they can see their previously saved trips, and a search form. In order to make a search, users enter an arrival date, a departure date, and pick a city. After entering these inputs, a list of places, dates for the duration of the trip, and their location on Google map show up in the results . Users can save these places or return back. Duygu earned a certificate from Udacity’s Online Intro to Programming Nanodegree Course. Before that, she completed Build Responsive Real World Websites with HTML5 and CSS3 and Learn 3D Modeling – The Complete Blender Creator Course from Udemy. Prior to starting with Hackbright Academy, Estrella had a long, successful career leading and developing Support teams in tech. Most recently, she held the role of Systems Support Engineer at Samsara, an IoT start-up, where she fine-tuned her skills in diagnosing and debugging issues across hardware, cloud software, and mobile platforms. 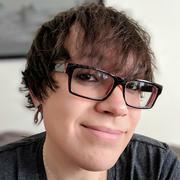 Preceding that, she worked with the prominent video game reseller, Humble Bundle, where she was the Project Manager for the company’s ever-growing Support team. Looking forward, she is excited to apply the skills she has developed in her past career and focus them alongside her passion for Machine Learning towards a new role as a Full-Stack Engineer while continuing to foster her enthusiasm for learning. DeepPaint is a photo sharing social network leveraging a Tensorflow-based deep neural network for image style-transfer. Users are able to upload pictures to their library and share them with the DeepPaint community. Any image that users upload can be styled after one of six famous paintings. The front-end is built on React to allow for a seamless single-page-app experience. The backend is built utilizing Flask to manage API calls and Tensorflow as a framework for the style-transfer neural network. Gabriela became interested in programming when she was awarded the Grow with Google Challenge Scholarship. 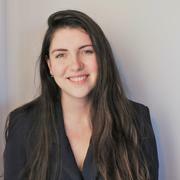 Before coming to Hackbright she studied Feminist, Gender and Sexuality Studies at Cornell University and worked as a domestic violence advocate helping survivors of domestic violence. Gabriela decided to pursue programming full-time when she learned tech can provide practical solutions to solve social problems and help people at a wide scale. She hopes to work within the intersections of tech and society. My Haven is a web app for domestic violence(dv) survivors who are receiving services from a domestic violence(dv) agency. It serves two main purpose: to enhance communication between a dv survivor and their advocate, as well as make dv services more accessible to survivors. My Haven makes receiving assistance from a dv agency more accessible by allowing survivors to conduct a lethality assessment, Victim Compensation Application, and research their abuser’s criminal history all within the application. It also allows advocates to update the status of the agency’s emergency shelter so survivors can see if there are available beds. The app also has a message center where advocates and survivors can communicate with each other 24/7. 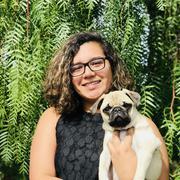 Gabriela was awarded the Grow with Google Challenge Scholarship to Udacity’s Android Basics track where she built Android Apps on Android Studios using Java and XML. Neha came to Hackbright after receiving a doctorate in Naturopathic Medicine from the National University of Health Sciences. Prior to her doctorate, Neha received bachelors degrees in Integrated Science and Molecular Biology from Northwestern University and worked as a math and chemistry tutor for high school and college students. Surrounded by family and friends in the engineering field, Neha always had tech in the background of her life. After moving to the Bay Area and taking some online coding courses, she finally came to appreciate the impact and potential the tech industry holds. Neha is excited for the opportunity to combine her diverse scientific background with her skills in software engineering to make an impact in the health tech industry. MealHub is a web app designed to help with vegetarian meal planning. It provides users with the ability to search for and save recipes for weekday dinners. Users search for recipes based on cuisine and food preferences. A nutrient tracker allows users to plan meals according to recommended daily allowances of major macronutrients. Once recipes have been selected, users can save them in a meal plan. All saved meal plans can be accessed at any time. Integration with Google Calendar allows users to send recipes to their personal calendar. 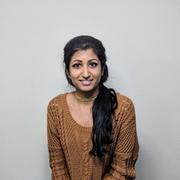 Neha dipped her toes into the deep waters of tech as a freshman at Northwestern University, where she took a course that introduced her to the basics of HTML, Perl, and C++. More recently, she completed Hack Reactor’s online prep course, Hackbright Academy’s online Introduction to Python course, as well as several courses on HTML and CSS from Treehouse.